In “‘West Side Story’–Then and Now”, NY Daily News writer Dolores Prida looks at how times have changed for Latinos and how the musical ‘West Side Story,’ coming to Broadway in February, reflects those changes. I’ve made it a point to see plenty of the Broadway shows that feature Latino storylines on Broadway so you know where to find me come February. 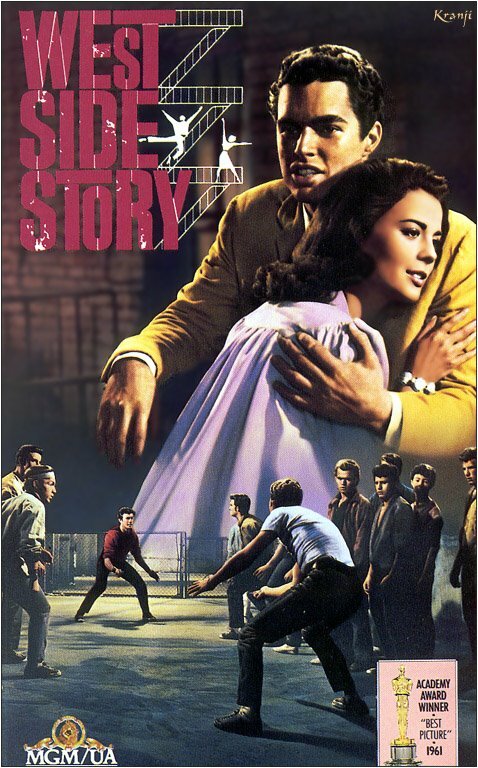 When the original “West Side Story” film came out, George Chakiris played his character with a dark-brown painted face. I wonder how the Puerto Rican population at the time felt about that. It’s no secret how the African-American community feels about “black face.” The new Broadway production will picture real Latinos on stage, no dark-brown face paint neccessary I hope. The musical captures a historical moment in time “way before biculturalism was accepted, and it was understood that to be an American you don’t have to reject your own culture.” Remember those good old days? (Not!) It’s nice to see we’ve come a long way, baby. I was Rosalia in my high school’s production of West Side Story, and I fell in love with the musical. Since I went to school in the midwest where most people were blonde or light brown haired with light eyes, I was told that I looked the most like a chicana (what with my pale skin and almost black hair). It amused me greatly. Anyway, yay for it coming to Broadway! I just played in the pit orchestra from West Side Story for a youth theater company in Milwaukee. They have color blind casting. So a white Anita, black Jets etc… and it worked really well, since they made sure to show who was who through costuming. That’s insanely clever. Color blind casting and costumes. It’s nice to know that ‘West Side Story’ strikes a chord even outside of the Latino population. The story line didn’t change, you just had to accept that the race distinctions were the same as their costumes… it’s saying, what matters are the people underneath not their appearance. I kinda remember seeing the film version, and if I remember correctly (it’s seriously been a long, long time!) I had a tough time telling the Puerto Ricans apart from the Whites. I mean Tony was like Italian or something; I guess it would have been more poignant if he were Irish or something. I mean it’s almost laughable now; hardly anyone bats an eye at that sort of thing now! I remember thinking wow they’re so many tanned people in this movie. Wow.